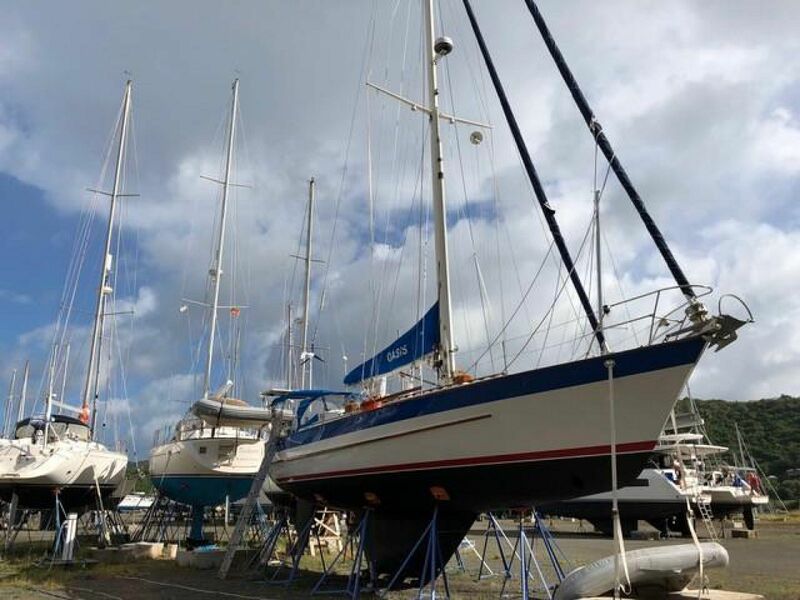 The Valiant 47 is the perfect long range off-shore performance cruising boat with all the live aboard comforts and great design for an ocean going, true blue water boat. You might also know that the Valiant 47 is a Bob Perry design which later became the Valiant 50 with the addition of a bow sprite and retooling on deck. 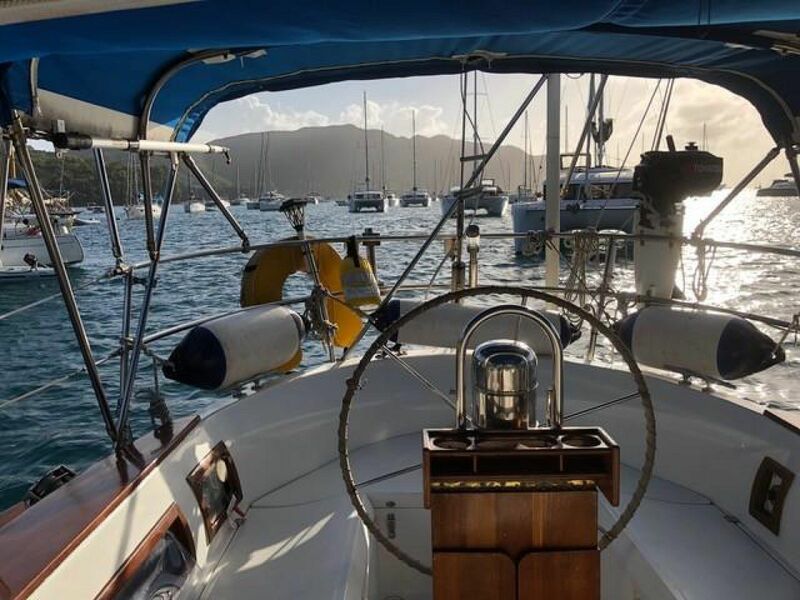 The 47 is an amazing vessel made famous by the solo circumnavigation by William Pinkney, the fourth person to sail around the world alone back in 1990 aboard his Valiant 47 “Commitment”. So many Valiant have circumnavigated! A Valiant 47 sistership made two solo circumnavigations, one of which was non-stop. 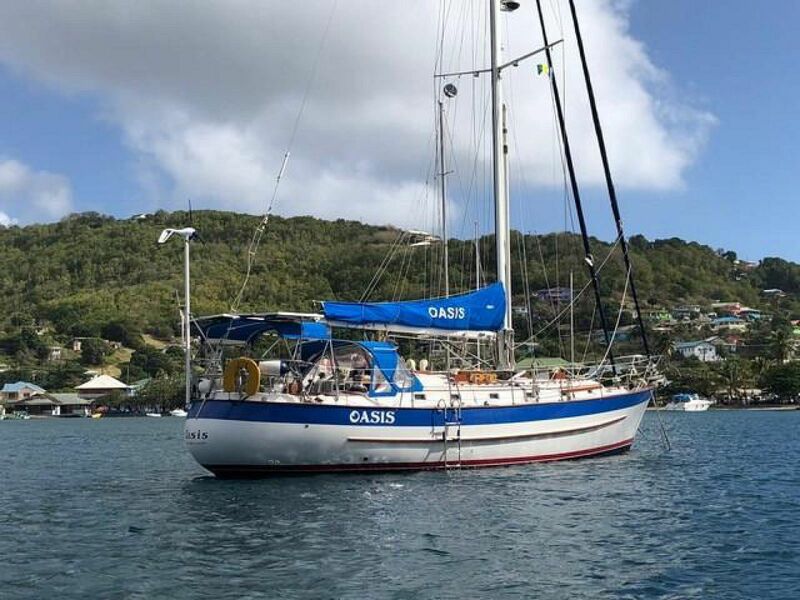 This sailing vessel is easy to single hand and therefore easy to sail as a couple. With a fin keel and long forefront, the boat tracks straight steered effortlessly by the autopilot or better yet, the wind vane steering. Due to the long forefoot, she tacks easily through the wind. The designer Robert Perry says “I drew a lithe Valiant with a sharp entry…” He liked the 47 better than the 42 because of that very design element. Down below the accommodations are well planned for voyaging. While the boat ultimately sleeps up to seven people, she is a truly comfortable live aboard for a couple. 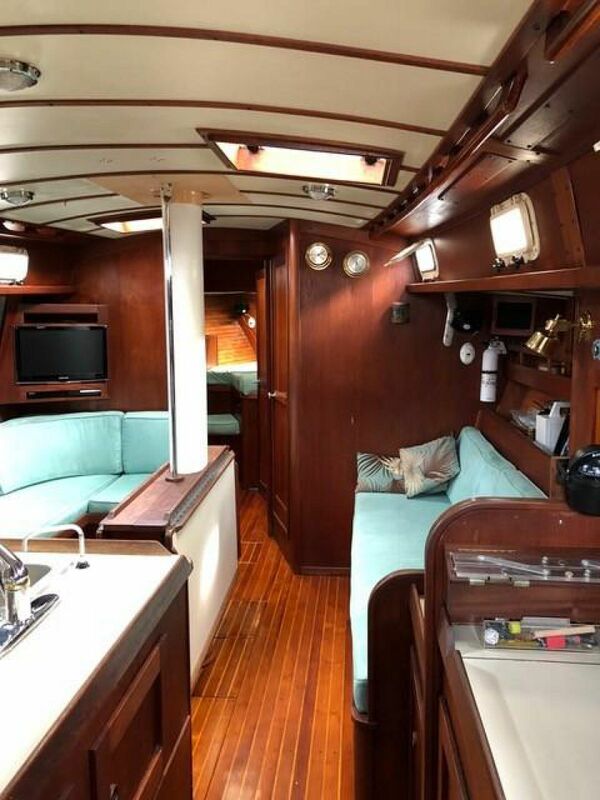 If you are looking for an affordable live aboard blue water boat that is capable safe and comfortable, take a close look at this wonderful Oasis. She truly is a beautiful Oasis in the ocean. Originally commissioned in the San Francisco area her first owners never really cruised. In about 2000 her second owners voyaged through the Panama Canal to the Caribbean and ended up in Annapolis. Her current owners are the third owners purchased her in 2010 in Annapolis MD. They refit her as needed for their cruising plan to the Caribbean where they enjoyed a few seasons. After the Caribbean they returned to the Chesapeake for some East Coast cruising and a final trip South. 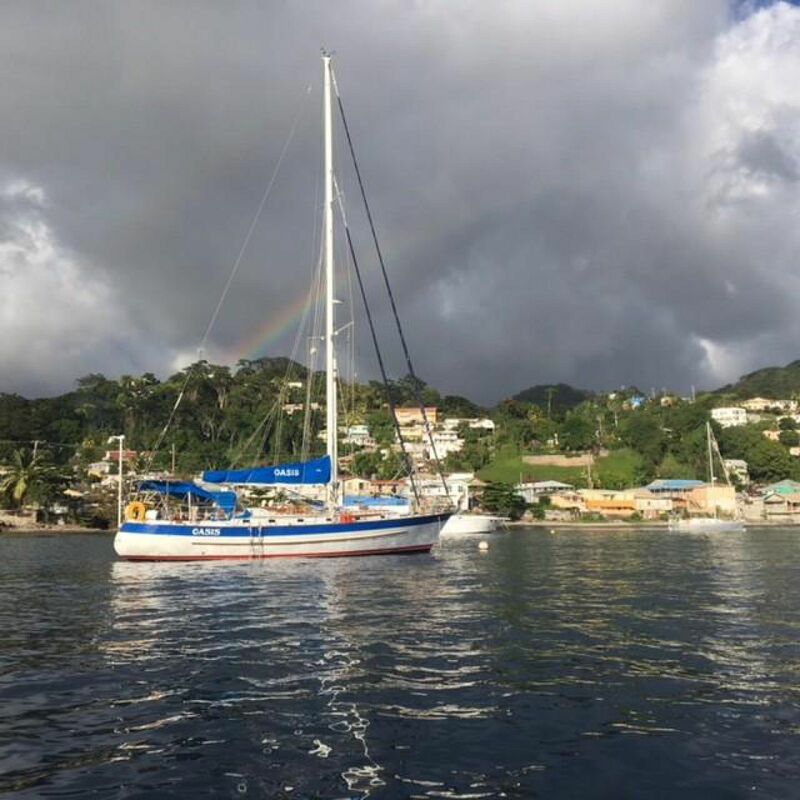 Oasis has been upgraded and maintained by her knowledgeable owners for the past eight years. She has never been heavily cruised and she is ready to go again. You will enjoy hearing directly from the owners of this rock solid cruiser. ….“Oasis has been a real confidence builder for my wife and me. We are not big people and, although Oasis is a relatively big boat for two, my wife and I have developed systems that allow us to easily handle her. The cockpit is well designed and laid out and my wife and I feel secure in it in any conditions we have encountered. 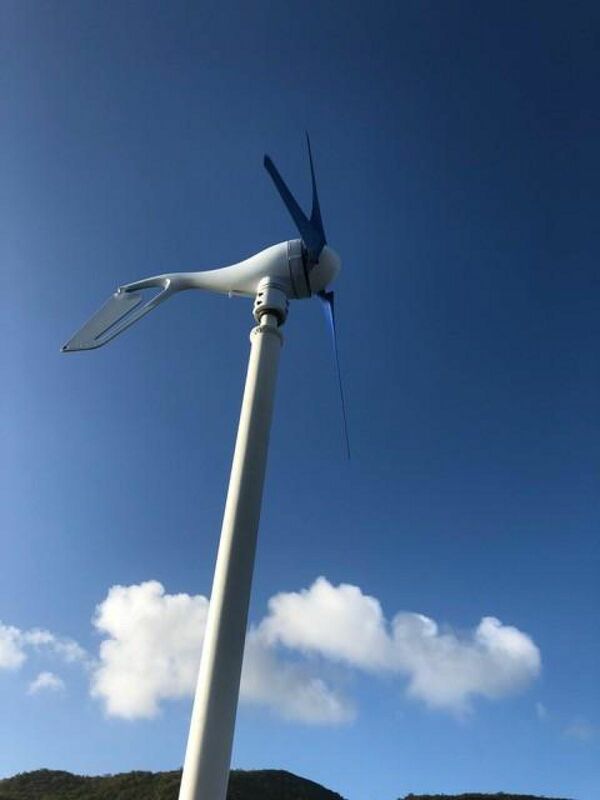 Each time we have pushed our comfort zone by going out in more challenging conditions, Oasis has taken it all in stride and we have come away being ever more impressed with her. 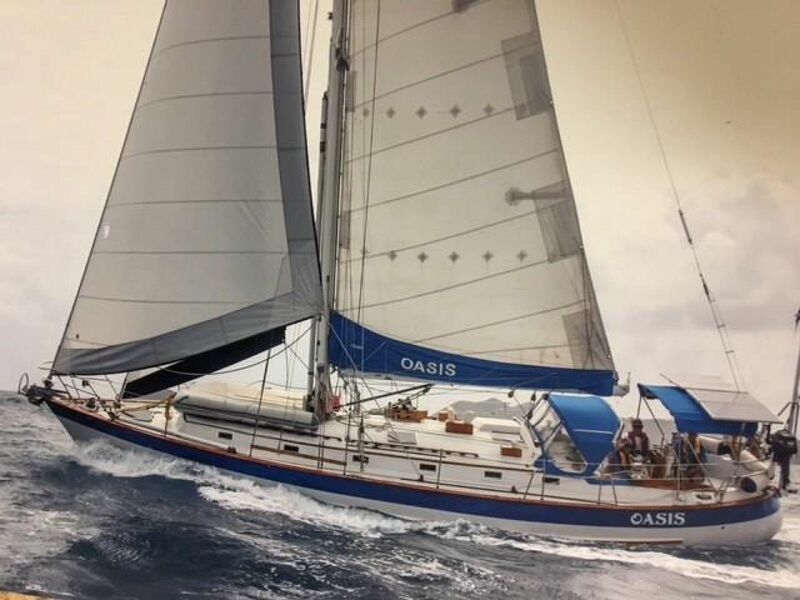 Oasis is a true sailor’s sailboat. I truly believe she has a soul that comes alive when you turn off the engine and start sailing. 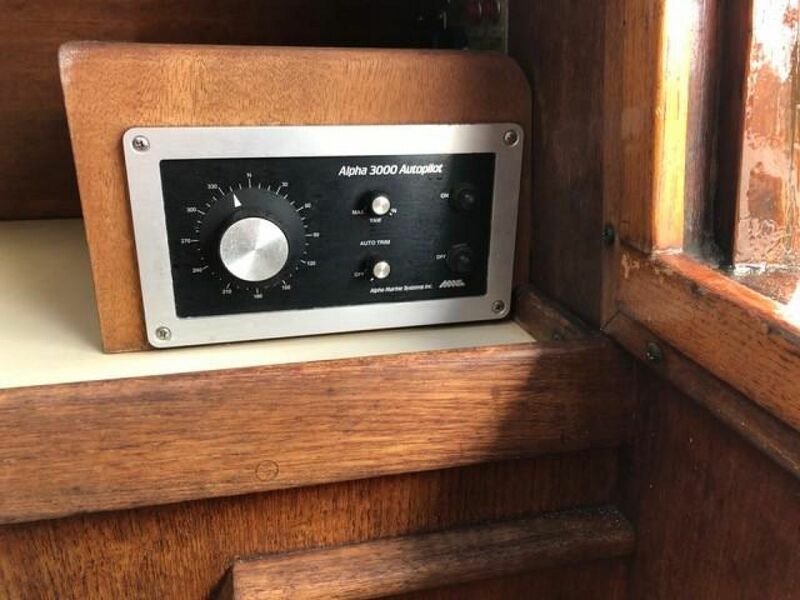 She is comfortable at anchor….not a marina queen. Where she really shines is underway and especially when the wind picks up and conditions become more challenging. We love her speed. More lightly built boats may be a little faster in light airs ( less than ~12-15 knots). When the wind picks up Oasis comes alive. We generally leave lighter boats in our wake. 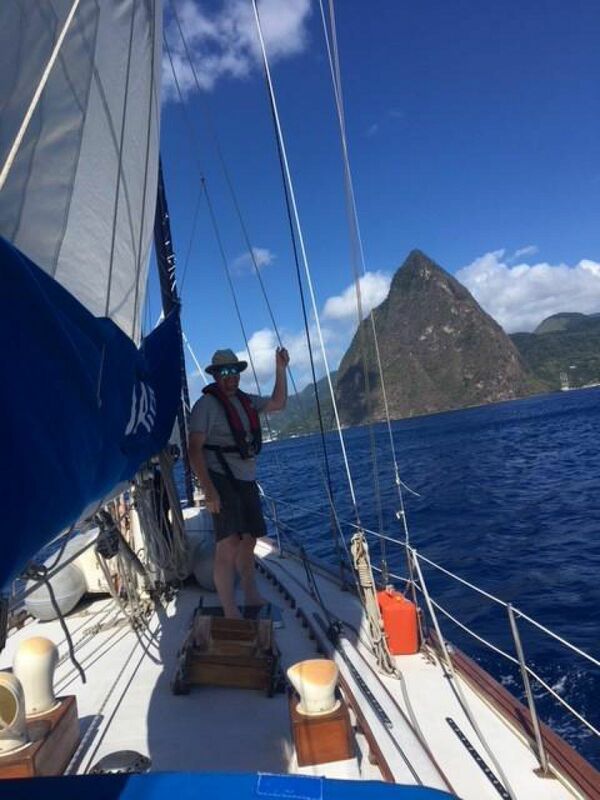 We love sailing her! What can I say after that! Valiant have made many couples into successful happy sailors. Personally owning two Valiant and still sailing our V42, I can tell you, you will never be sorry to own her! Highlights: Documented constant maintenance, upgrades, and even 2019 improvements! 2014 grand improvements: New Fischer Panda 4KW generator installed , new Garmin radar and new Garmin 4000 series chart plotter installed at nav station, new Magnum 3000W inverter/charger, new Refrigeration compressor, new West Marine 7000 series stereo/CD player and speakers installed, major electrical system refit including galvanic isolators, new battery system master switches, second automatic bilge pump, high water alarm, new Mantus anchor 55lb and beautifully repainted cove stripe and the teak and holly cabin sole was refinished in 2015. Current 2019 Spring!! Epirb recertified, Six person Winslow liferaft recertified, fire extinguishers recertified, new dinghy, new AIS transponder!!! 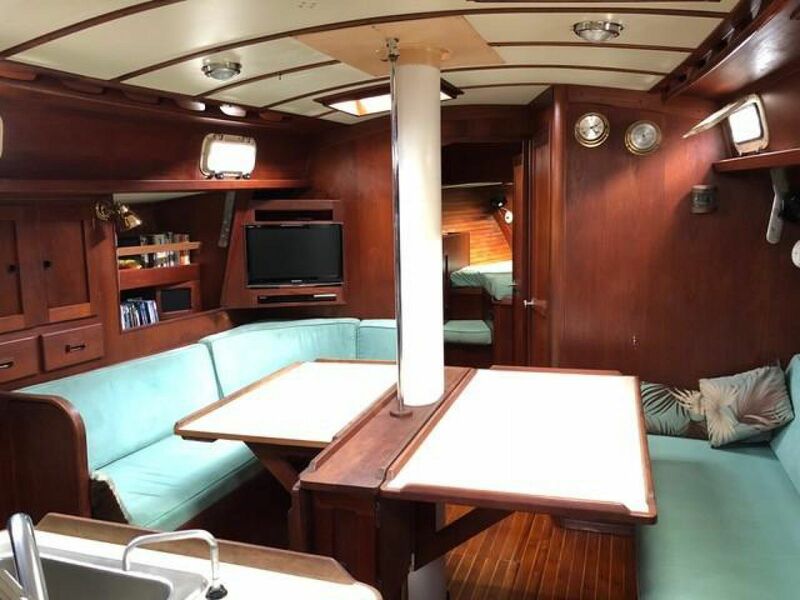 This Valiant 47 Oasis is a fabulous ocean going liveaboard sailing vessel! 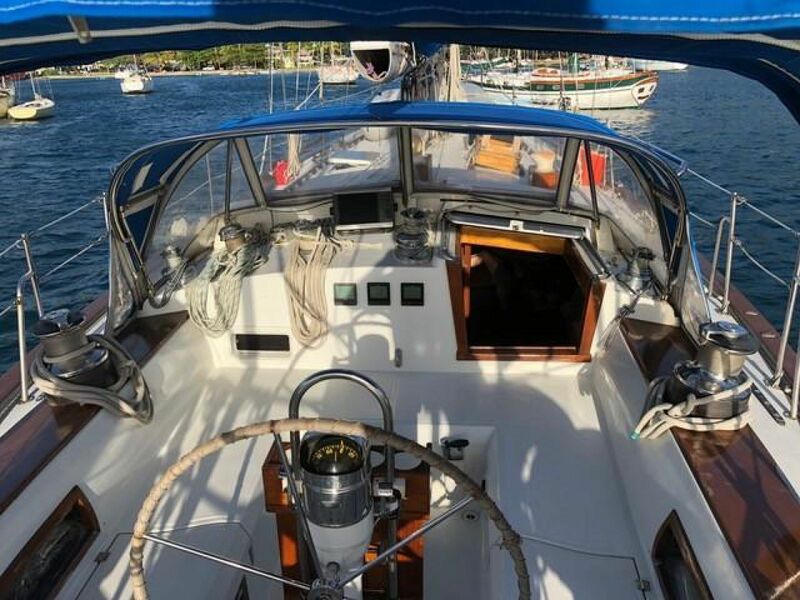 You will find few great boats that have been loved and used and upgraded constantly for largely all her life. 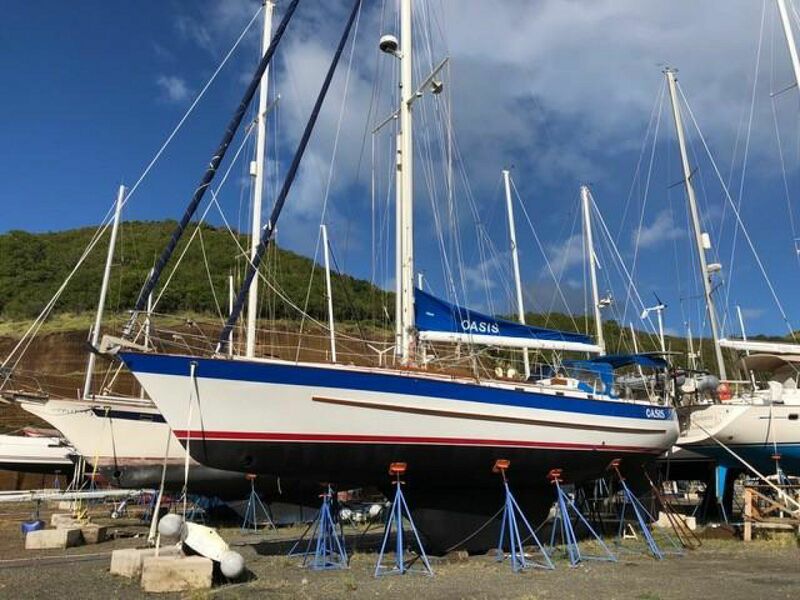 If you don’t want to spend a half million or at least many hundreds of thousands, you should think about buying one of the world’s best built boats loved, maintained, and upgraded to serve you well. 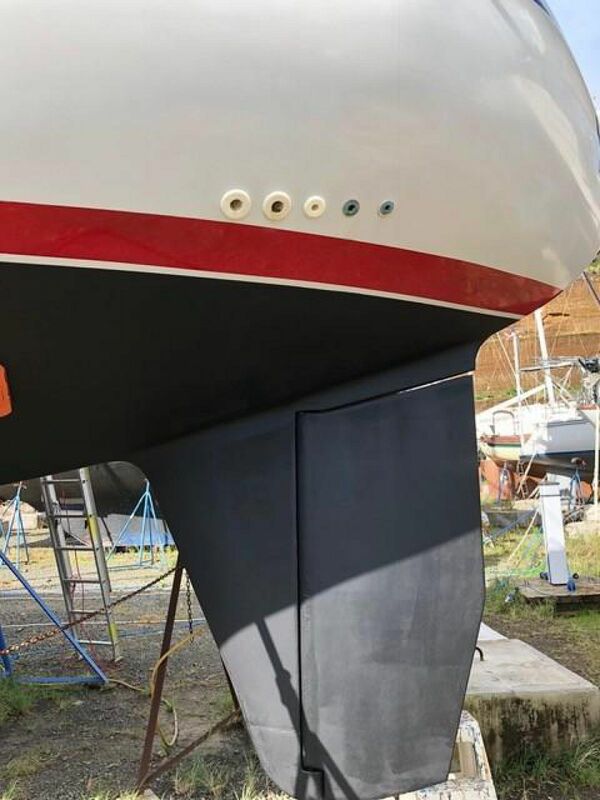 You may know that the Valiant 47 hull is from the same mold as the Valiant 50; it’s the same boat minus the Valiant 50 bowsprit! There have been many circumnavigations of the Valiant 47 and Valiant 50. The Valiant 47 is a half the price! 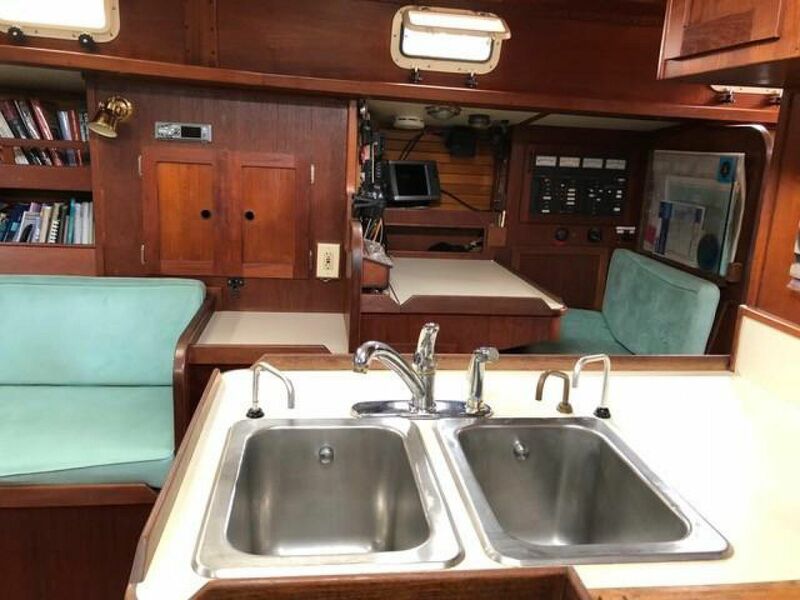 The Valiant 47 is a comfortable live aboard boat with plenty of storage, two real staterooms, two complete heads each with a shower stall, and a spacious galley and salon. The sit down nav station is like another room in the house. 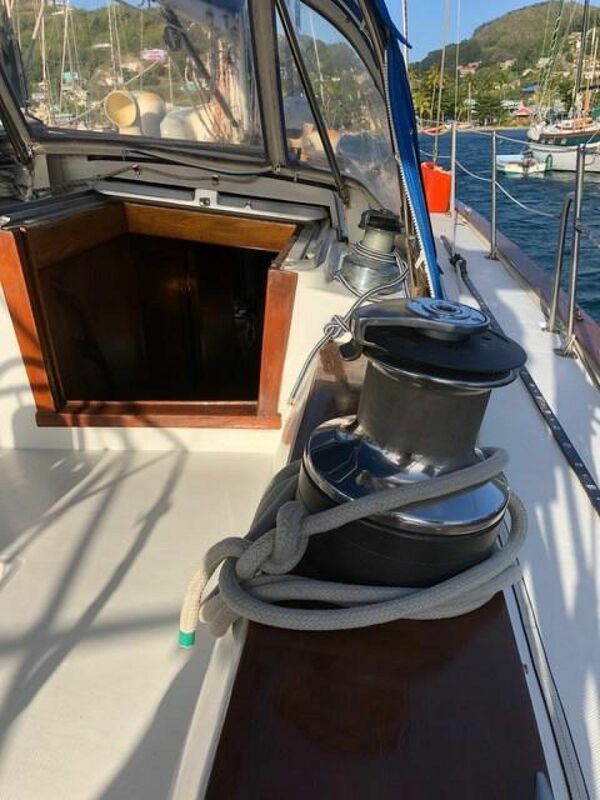 With over 6'6" of headroom in the salon and 6’4” everywhere, this is a vessel that works well for tall sailors and all those that like a sense of space. 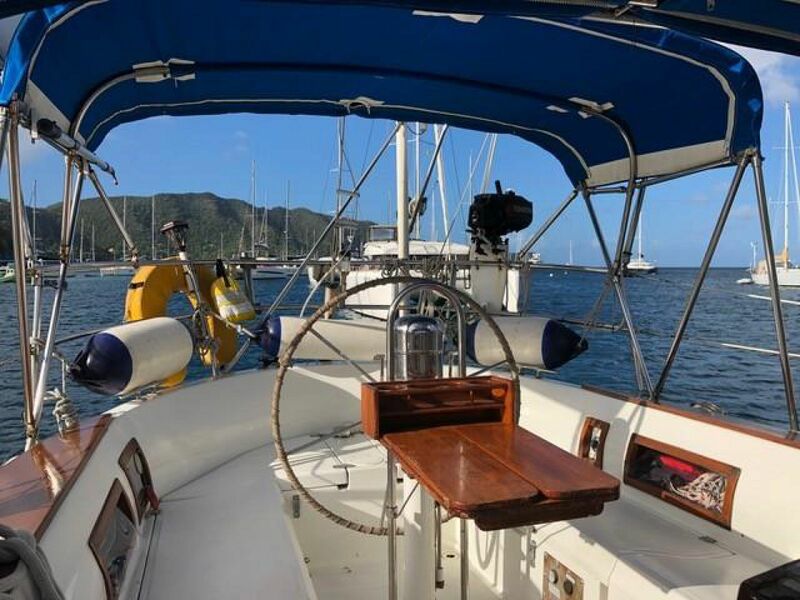 She’s a home afloat with teak bulkheads and a beautiful teak and holly sole that was refinished in 2015. 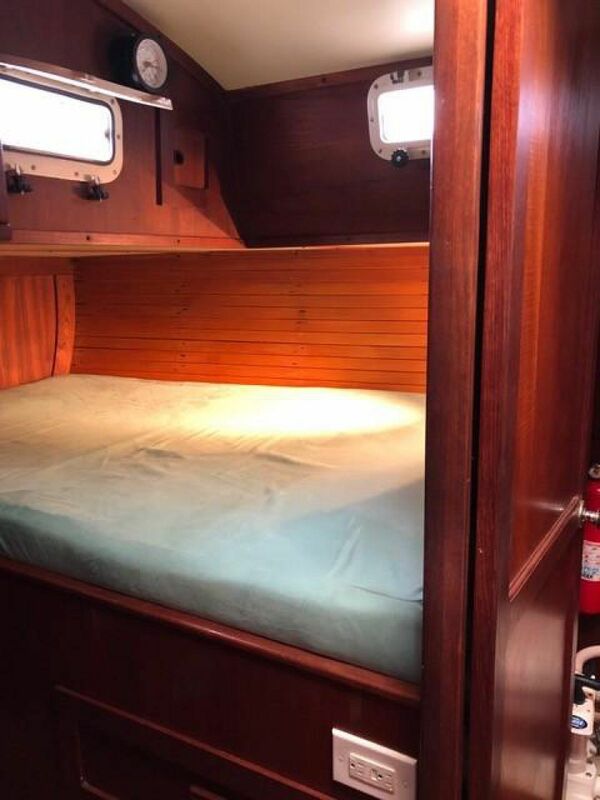 Like all Valiant, Oasis has wonderful ventilation with six opening hatches with new Lexan and 13-screened opening Lexan ports, and four dorades. 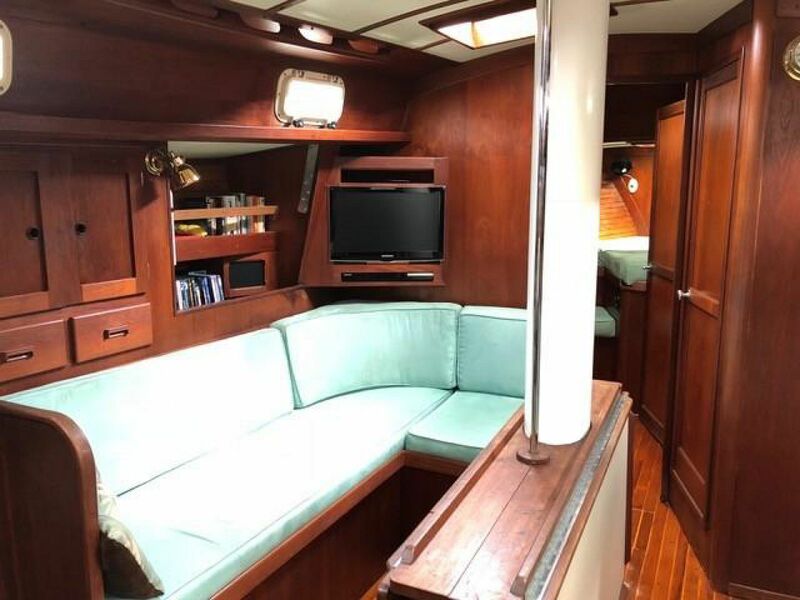 The teak interior is beautiful and classically yachty but don’t be fooled, she has a great entertainment system with flat screen and DVD player. Cabin lighting is romantic. 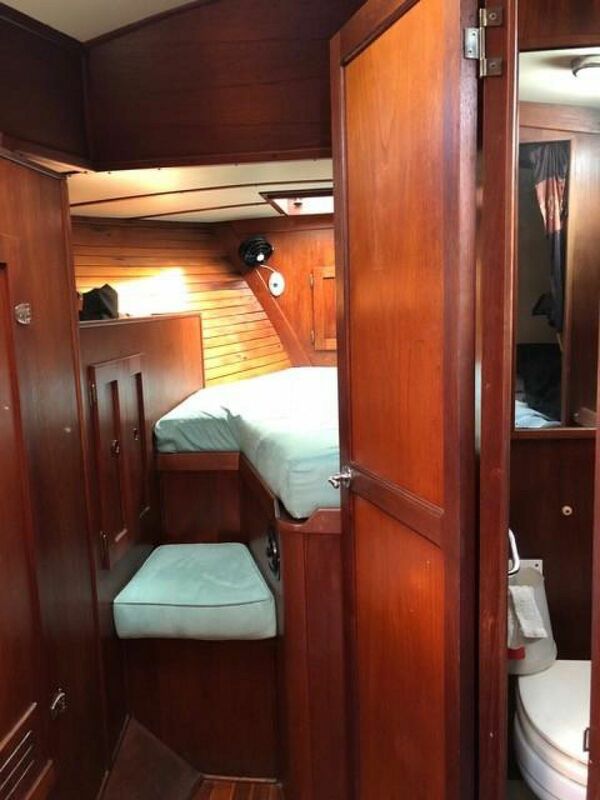 As you enter the companionway on the starboard side, you have amazing storage with two large lockers. 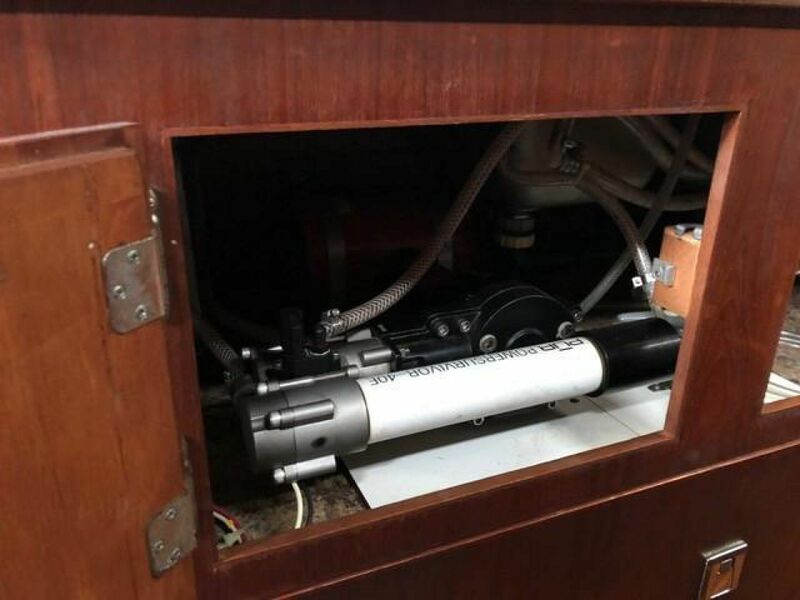 There is also a walk-in “garage” on the starboard side aft that houses the generator and has organized storage for tools and spares. It is “to die for”. Not literally…but incredibly. 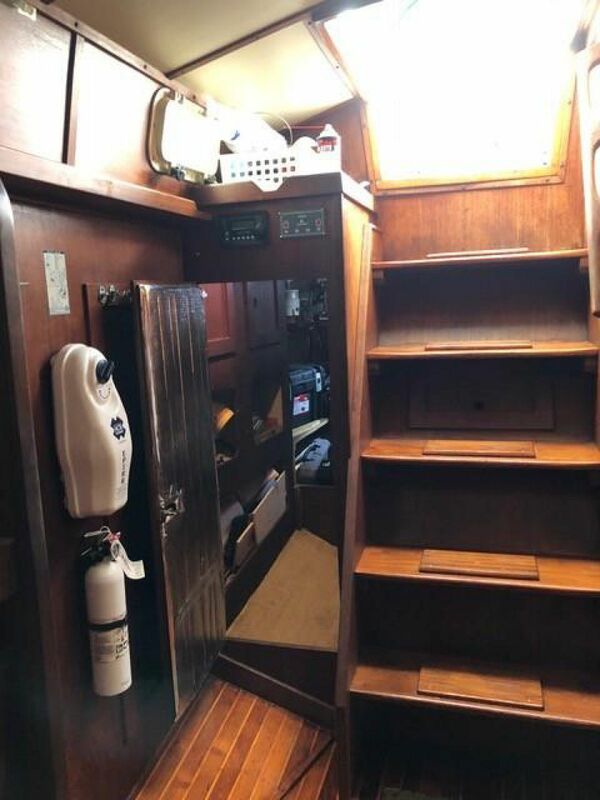 There is a wet locker just at the companionway and a huge storage locker forward for supplies and pantry space. To port you enter the port side stateroom with a spacious double berth and adjoining head and shower stall. The owners use this stateroom on offshore passages as it is super comfortable and close to the cockpit. 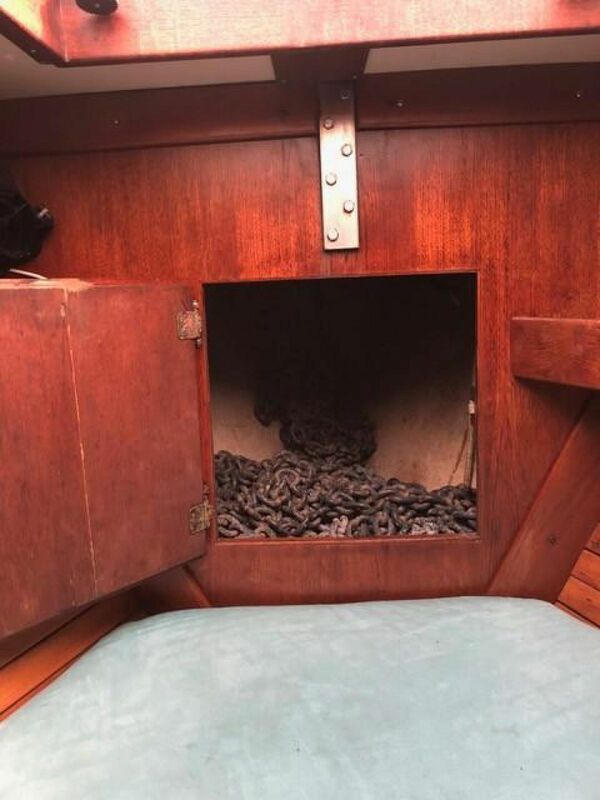 There is also access to incredible storage under the berth with drawers below and a hanging locker as well as access to the battery storage and electrical compartment under the cockpit. For a couple this aft cabin means the off watch crew is always near the cockpit. 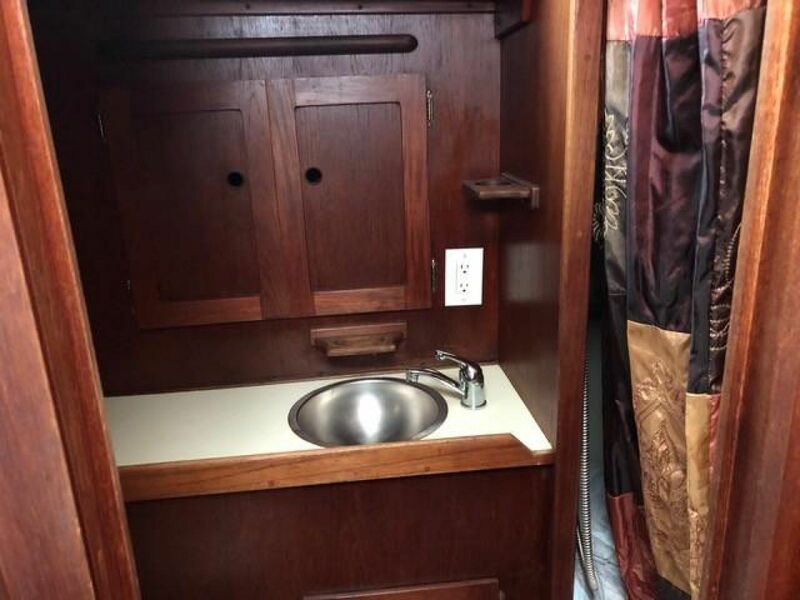 The aft ensuite head is also accessed through a separate door just forward of the and has a vanity with washbasin, toilet, medicine cabinet and additional storage. There is also a separate shower stall with a molded in fiberglass seat. This aft head is also accessible from the main salon and has doors to provide privacy so it works as an aft head on a passage with additional crew. 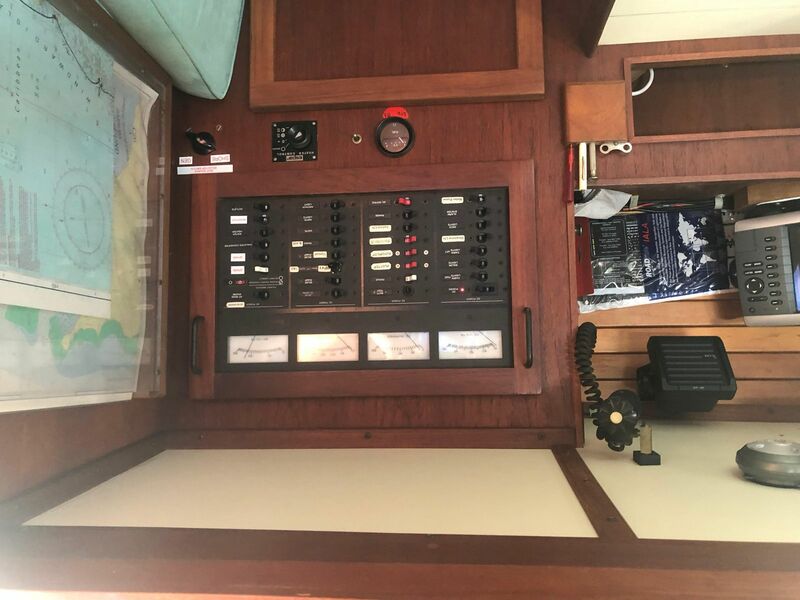 Moving forward on starboard there is the large sit down, forward facing nav station! This is your heart’s desire. There is chart storage and loads of other storage. 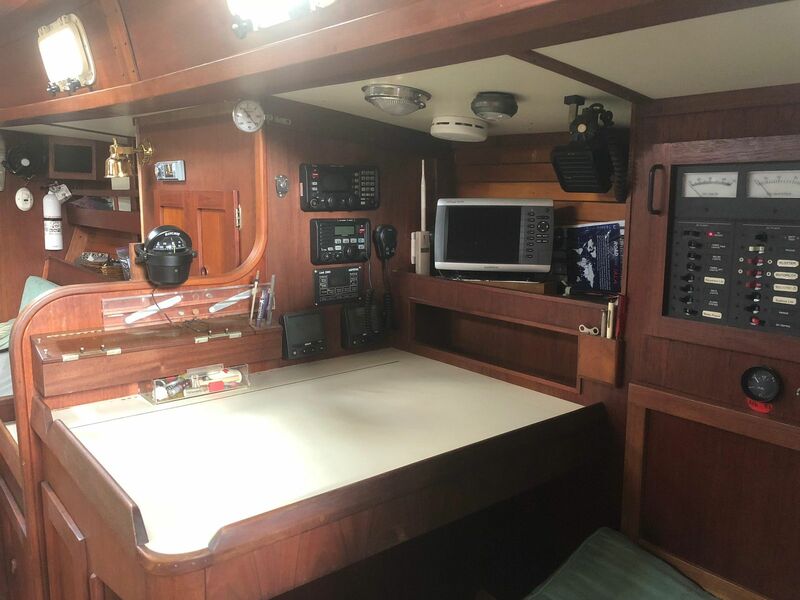 This is the communications center and ships office, complete with the new Garmin 4208 chartplotter. This space is another important room in the house. Adjacent to port, mid ships is the engine compartment under the galley sinks. There is ample access to both port and starboard sides of the engine. 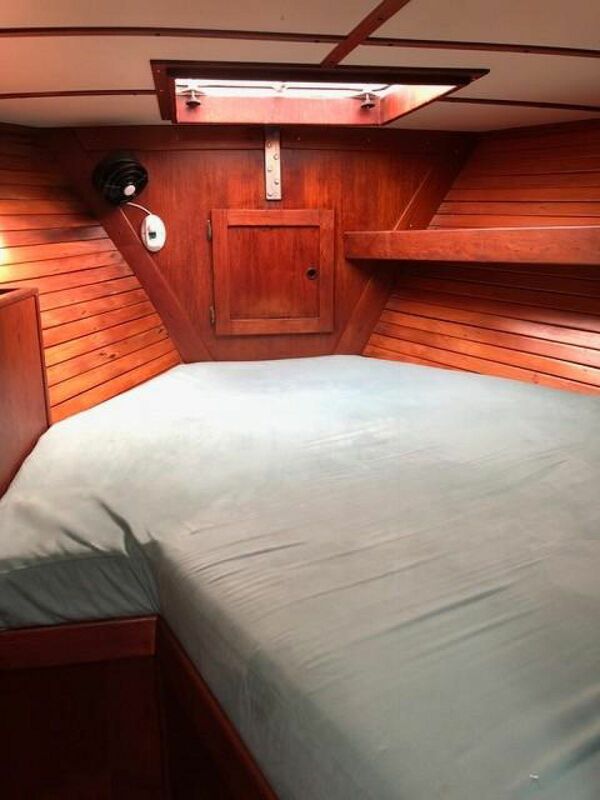 The famous Valiant 47 galley is amazing as it is large, comfortable and secure enough to be safe offshore. The galley is one of the very best I have ever seen. 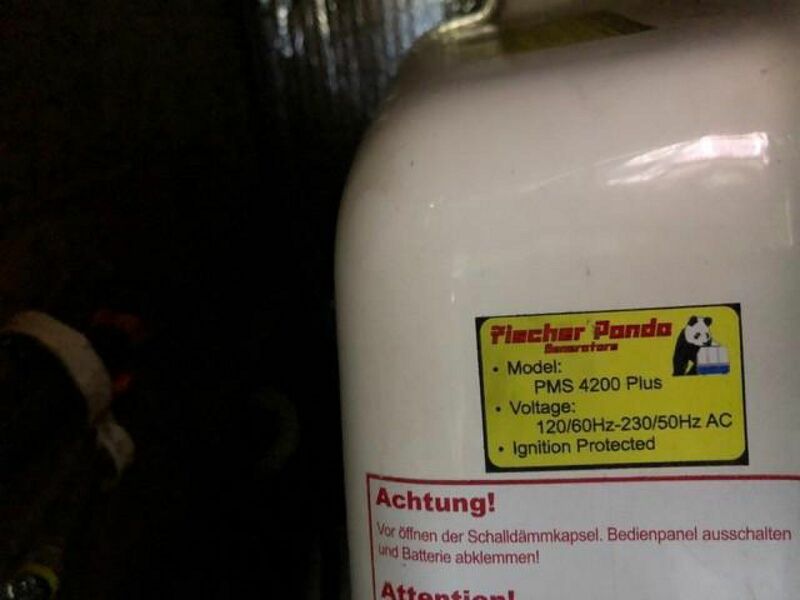 It is secure in any condition! Perfect. There are wrap around counters and double centerline sinks. 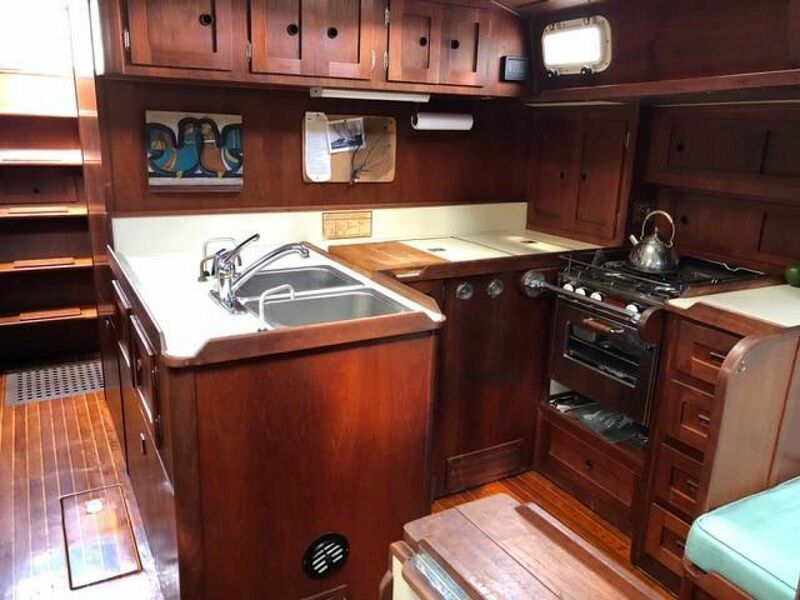 The refrigerator/freezer is along the bulkhead aft and the propane stove is outboard. 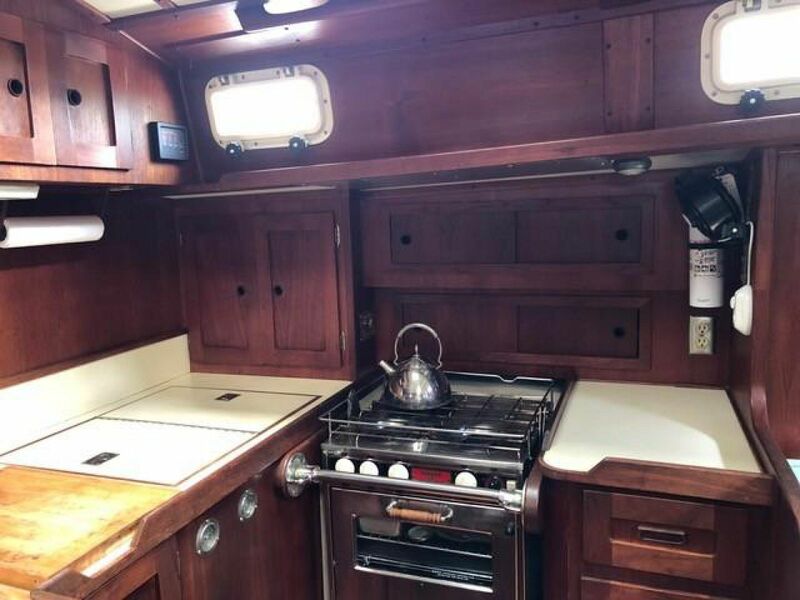 There are cabinets above and outboard for plenty of storage and the galley is a secure space for the chef in a sea way. It is a dream. I know. The main salon is spacious with a large L shaped settee to port. There is cabinetry and shelves outboard, storage behind and water tanks under the settee. The traditional centerline drop leaf dining table can seat eight with both leaves open. 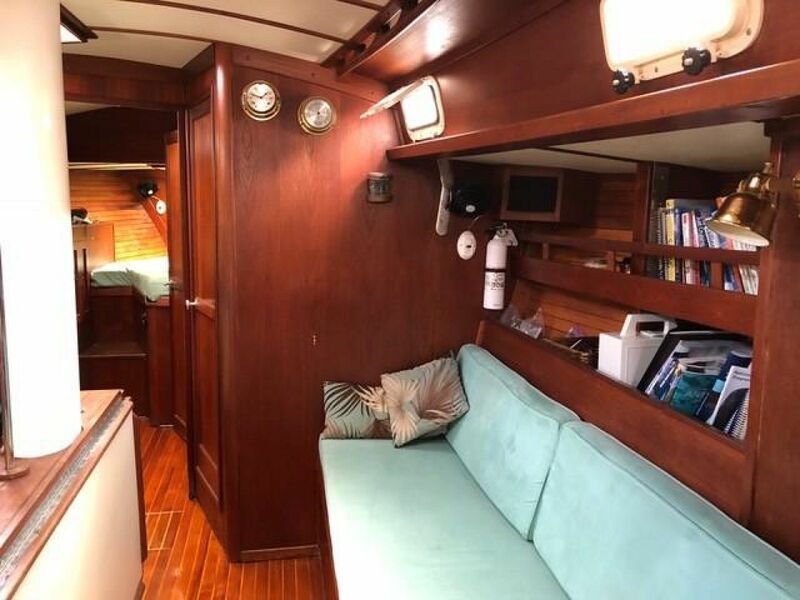 The straight settee to starboard is about seven feet long with book shelves, shelves and lockers and abundant storage over and behind. Both settees are equipped with lee cloths and make secure sea berths offshore. The upholstery and cushions were replaced in 2011 and are in excellent condition. The forward stateroom has a centerline double berth to starboard with lockers above on both sides and storage below. The dressing seat to port is handy also. There is a huge hanging locker to port. A second head with a separate shower stall is to starboard. 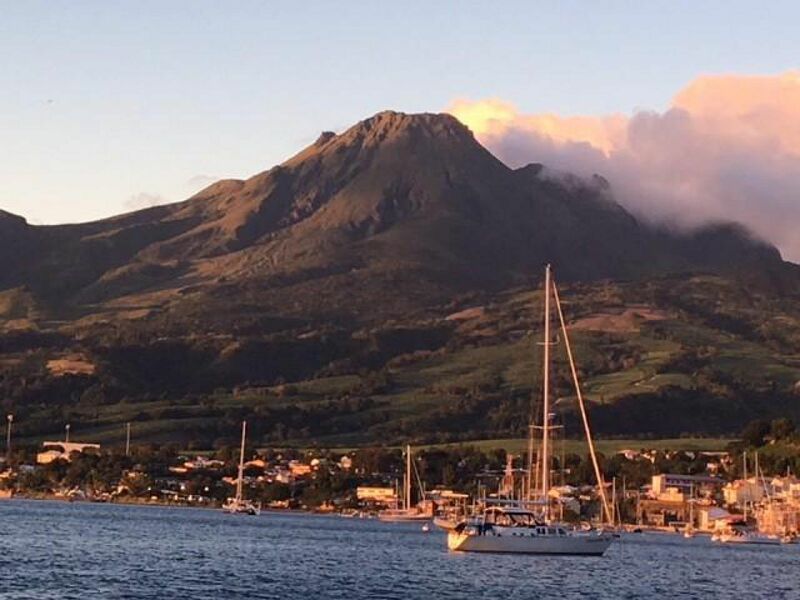 This stateroom is extremely spacious and livable and the current owners use it as their master stateroom at anchor and underway in moderate conditions. It is also an awesome guest stateroom. With two complete heads, both with shower stalls, the layout works for two couples or a family. The wrap around galley space is secure in a seaway because the cook can brace against three sides with only the forward side open. Two 20gal aluminum propane tanks located in lazerettes with proper venting, solenoid and pressure gauge. Propane is used for cooking only. 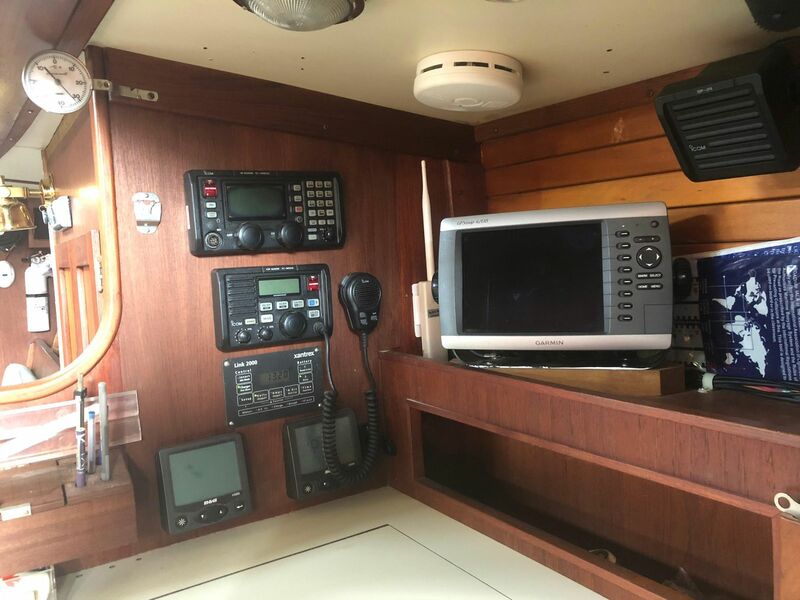 The navigation station is a proper offshore, forward facing navigation station, with comfortable seat and full size lift top desk. 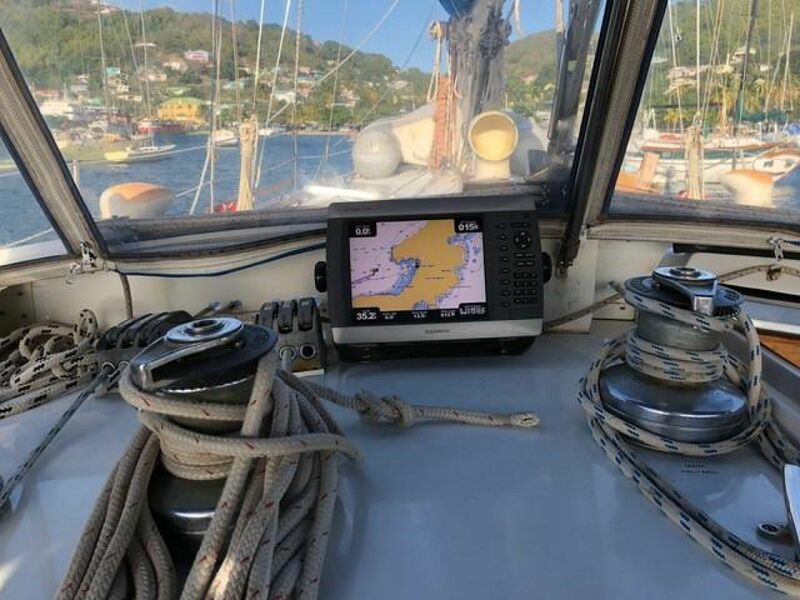 The large navigation table has storage under, generous navigation/electronics cabinet and room for the full complement of electronic navigation and communication equipment, as well as the well laid out, custom Valiant electrical panel. One of the great things about the Valiant 47 is that the engine is located low and on the centerline providing for a straight direct drive shaft. The 58 hp Westerbeke engine is completely accessible without crawling into an engine room. 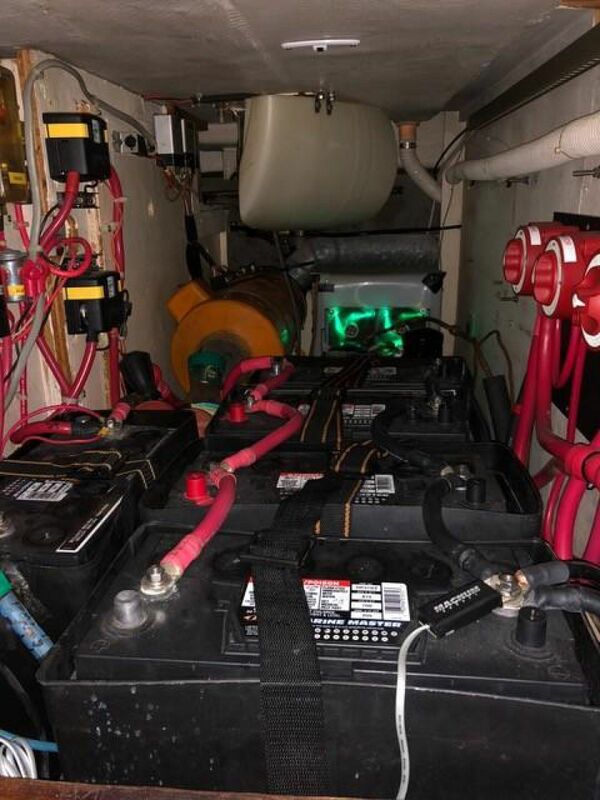 The generator is located in the starboard side aft “walk in garage”. With the incredible storage areas, there is great space for spares and tools. The inventory or original brochures, paperwork, scantlings, ships and equipment manuals is the best we have ever seen! 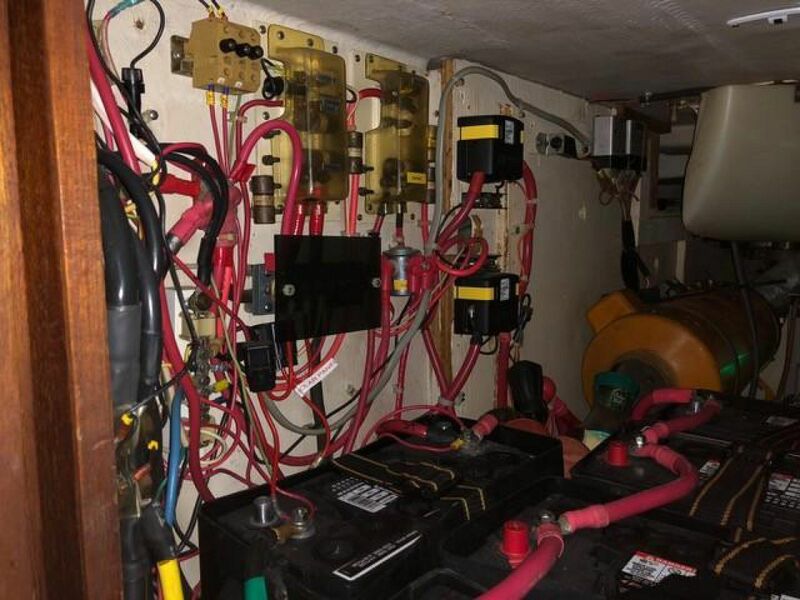 Batteries are located in centerline battery storage area/electrical compartment properly secured in battery boxes. The Valiant 47 is a true cutter rig Schaefer furlers for the jib and staysail, control lines are run to the cockpit. Rod rigging. 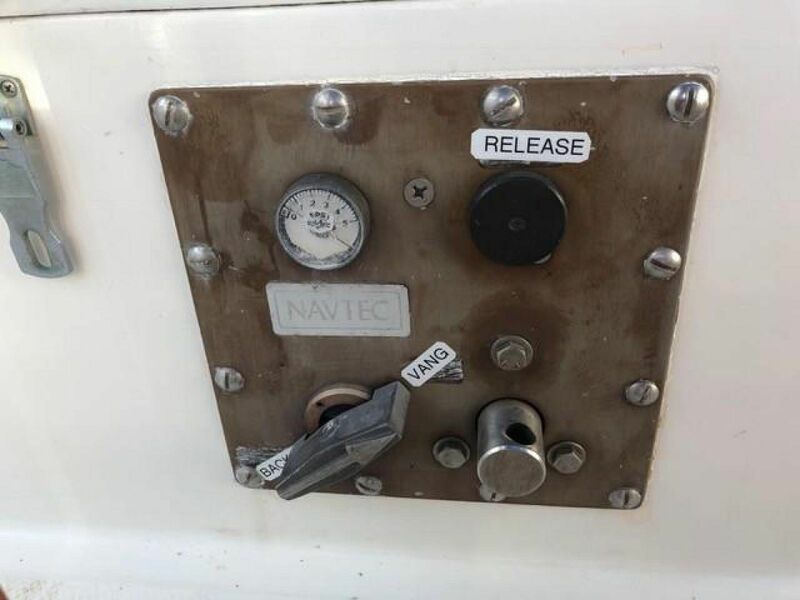 NavTec adjustable hydraulic backstay and Navtec Vang. Controls in the cockpit. The Valiant 47 is one of Bob Perry’s finest hull shapes. 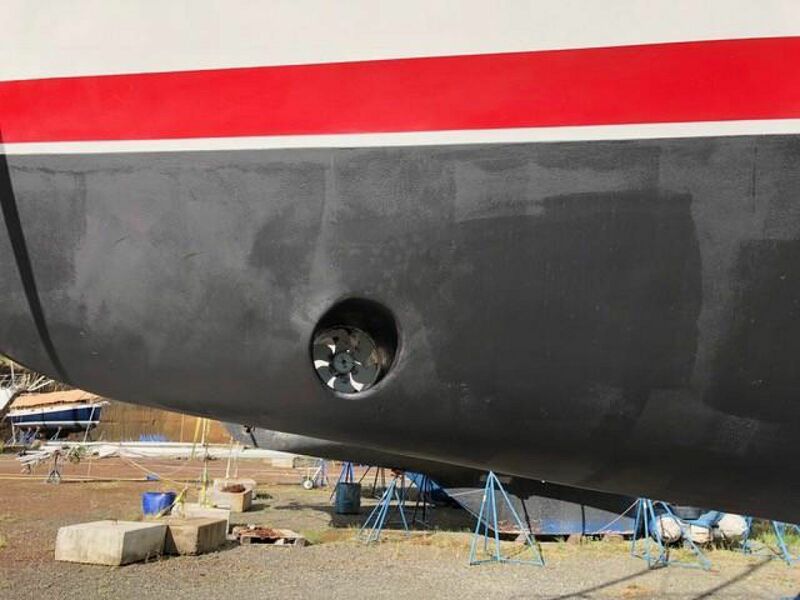 It is the same hull used on the Valiant 50 but without the bowsprit. He drew a lithe vessel with a sharp entry and flat and fast aft sections. The long cruising fin keel provides great stability and tracking. With a draft of 6’6”, she goes to weather and carries sail well. She is fast and powerful. Oasis was laid up at Uniflite in 1982 after the fire retardant resins were eliminated. Oasis has never had any blisters.